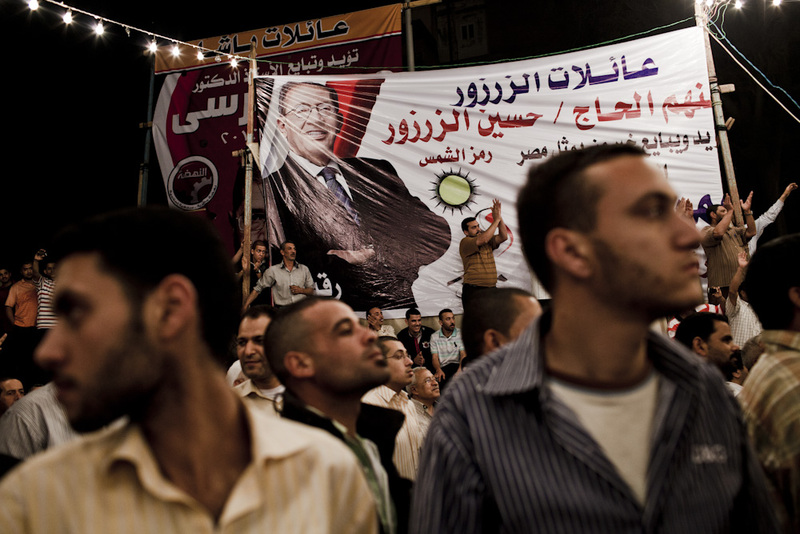 Supporters of secular presidential candidate Amr Moussa gather at a political rally during a tour by Moussa’s campaign of the Nile Delta, Egypt, May 18, 2012. Photo: ED GILES. 15 months after dictator Hosni Mubarak was pushed out of Egypt’s presidency by countrywide street protests, Egyptians prepared to choose their next leader. A Thirteen candidates presented themselves to Egyptians as country’s best new leader, one who could show the way to a country in chaos after years of dictatorship and over a year of post-revolutionary uncertainty. Around a week before the vote, I traveled to the Nile river delta, east of the coastal city of Alexandria, to cover the campaign one of the front-running candidates, Amr Moussa. A former head of the Arab League and foreign minister to Mubarak, Moussa appeared to be one of four or five candidates likely to be Egypt’s next leader. As Moussa’s campaign bus traveled across the long, flat delta roads to the working-class town of Edko, we passed factory after factory, through small towns and past small shopfronts often lit up by a single electric bulb. Far from the urban metropolis of Cairo, we traveled through areas much better representing the ‘real’ Egypt – a country struggling to bring most of its population out of poverty and under-employment into modernity. Moussa’s campaign bus arrived in the town centre of Edko, weaving through thick traffic to arrive at a large field set up with a stage and festival lights. Thousands of men filled the field, packing toward the stage and upon seeing the bus arrive, forming a dense crush around the candidate as he moved toward the stage. Moussa, nearly being carried by his security and the crowd packing around him, waved and saluted to the crowd that were barely containing their excitement. 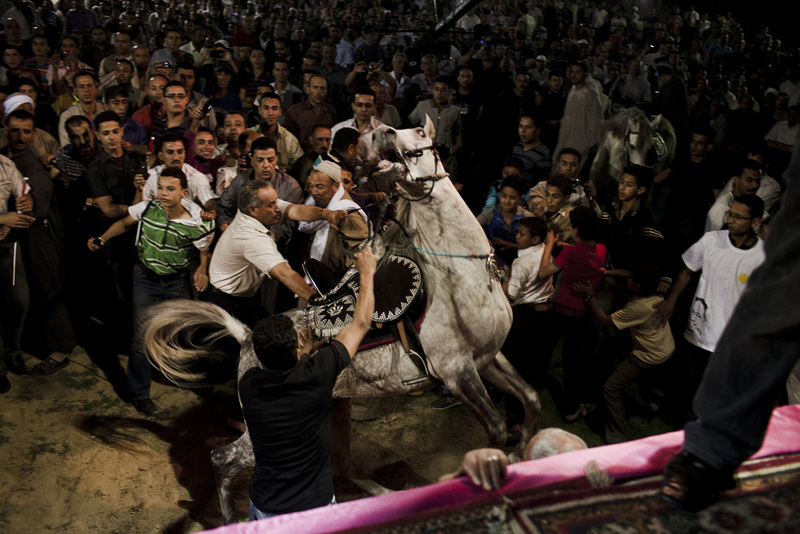 A horse bucks during a rally for supporters of presidential candidate Amr Moussa in the Nile Delta, Egypt, May 18, 2012. Photo: Ed Giles. As Amr Moussa took to the stage, a handful of men on white horses moved toward the stage amongst the crowd, who were now acting like the fans of a platinum-selling rock musician. The combination of noise, light and densely packed men proved too much for one of the horses, who bucked and threw its rider into the crush. Men and young boys surrounding the horse dived away from the wild animal while two others tried to get it under control. Soon enough, the Amr Moussa show went on as the bucking horse was removed from the scene. 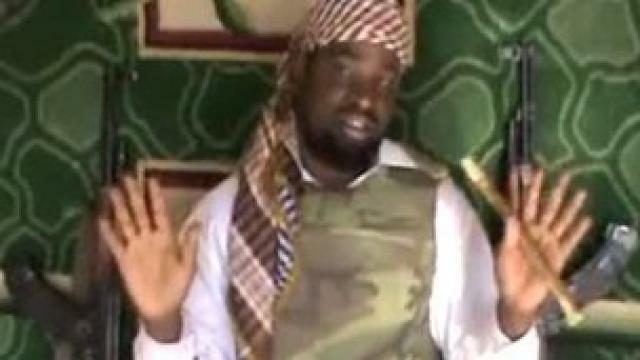 Moussa spoke, and the crowd continued to get more and more wound up. Men clamoured to get to the front and within reaching distance of the candidate, and others simply stared at the candidate with tears rolling down their cheeks and hands cupping their open mouths. As Moussa wrapped up the show, I found myself a quiet spot near the rear of the stage so I could take a minute to change lenses, knowing that the low light off stage meant I would need to lose the zoom lens and be back on my fast wide-angle prime. Suddenly the show began to move quicker than expected, and Moussa’s security phalanx moved to contain him in a ring of heavies, quickly pushing toward the edge of the stage and stairs. Of course, I was still changing lenses, one in each hand, as the wall of Egyptian security men closed the gap between me and them, forcing me to the edge of the stage. In one very fast move (I’m still not sure how I pulled this off), I spun the small prime lens onto my camera, dropped the zoom into my camera bag, and took the jump off the stage into the crowd below, nearly landing on top of a colleague who had already dropped down the stairs. Hitting the ground, I barely had time to make sure my kit was all with me as the men around me crushed in, trying to touch Moussa as he descended from the stage. 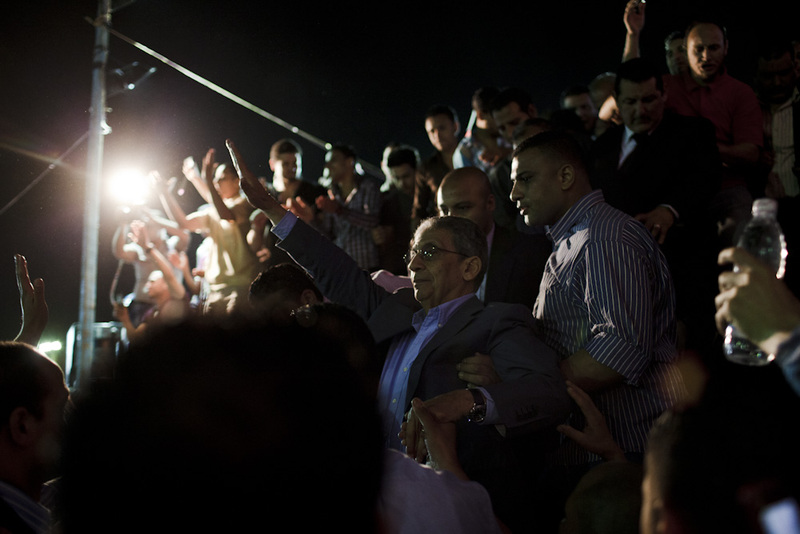 Secular presidential candidate Amr Moussa salutes supporters as he leaves the stage during a campaign event at Benha in the Nile Delta, Egypt, May 18, 2012. Photo: ED GILES. As I turned around, Moussa was already coming down the stairs, helped by his security heavies, waving to the crowd in what I have to admit is a slightly odd gesture that brings up some historical connotations for me and maybe for others. Some in the crowd saluted back, but most just crushed further forward to try and touch Moussa himself. Barely making it onto the bus after Moussa’s men rushed him through the crowd, we snaked through the traffic that formed a convoy in front of and behind our bus, off to the next town on our whistlestop tour of the northern Nile delta. As Egypt’s political transition grinds onward, it’s events like this that have given me a real window into what is happening here. THis country of over 80 million people have been experiencing ‘open’ democratic elections for the first time in their history, and the process is wild and raw. This is a place that has experienced dictatorial military government for the best part of two generations, with monarchy supported by the British empire and occupation by the Ottoman empire before that. Politics here is not the same as it is for us in Australia or other western countries, where we have become cynical and used to the scripted performance of candidates. Despite the many flaws in the process, the Egyptian presidential elections have given many Egyptians the distinct impression they have a voice, that they can indeed reach out and touch the powerful for the first time in their lives. 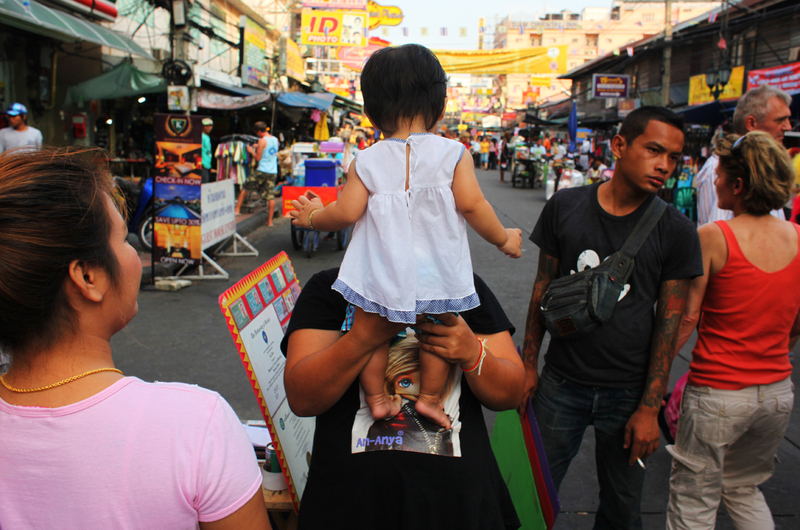 ON THAILAND’S BURMESE BORDER, YOUNG MONKS ON HORSEBACK BATTLE THE SCOURGE OF OPIUM, HEROIN, AND METHAMPHETAMINE TRAFFICKING WITH A NOT-SO-SECRET WEAPON: KARMA. Photojournalist who has died aged 70. 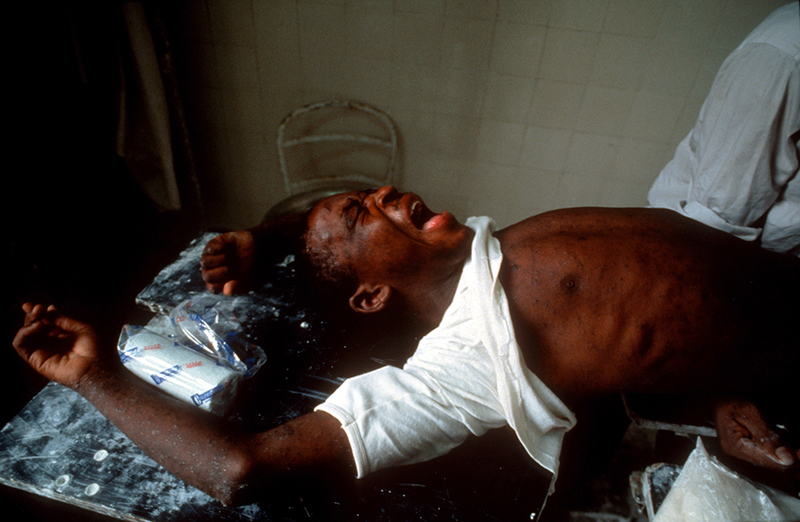 Penny Tweedie was an award winning photographer who covered conflicts around the world. She narrowly escaped death on the Golan heights and was thrown out of Uganda whilst covering the expulsion of the country’s Asian population by Idi Amin. Penny also produced a number of books documenting the culture of Australia’s Aboriginal people; she took photos for press and advertising campaigns for the charity Shelter in the 1960s and was in demand for portraits. Penny felt that she was defined by her work – and when commissions dried up as she entered her seventies, she decided to end her own life. Penelope Anne Tweedie was born 30 April 1940 and died 14 January 2011.